FN FNSTM-9 Semi-automatic 9mm Handgun. Combining next-generation design with outstanding ergonomics, the polymer-framed FNSTM delivers an advanced striker-fired Pistol that offers the safety of a double-action with a smooth, consistent trigger pull. The slide stop lever and magazine release are all fully ambidextrous for ease of operation with either hand from any firing position. Both the slide and barrel are stainless steel and the checkered polymer frame has two interchangeable backstraps for a custom fit. Proudly made in the USA. Forward MIL-STD 1913 under-rail for lights, lasers, etc. 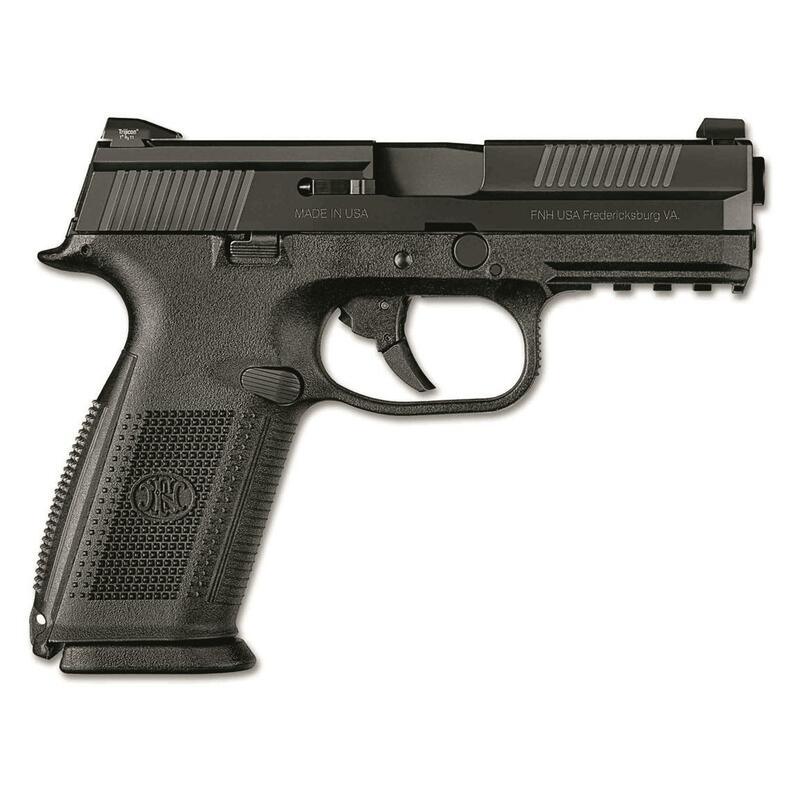 FN FNS-9, Semi-automatic, 9mm, 17+1 is rated 5.0 out of 5 by 3. Rated 5 out of 5 by Bapak2ja from Excellent Pistol I have the model with the manual safety, but the rest of the unit is identical. It eats a wide variety of ammo—WWB, Aquila, S&B, Federal, have all worked well. It also handles FMJ and HP without difficulty. Never had a hiccup with anything. Int is also very accurate. I have tested with bench rests, with standard two-handed grip, with single strong-side, and with single weak-side hand. It shoots where it is aimed. It is an excellent pistol, equal to any other brand currently on the market. At this price, it is a great purchase. Rated 5 out of 5 by elrayoex from Fine pistol The FNS 9 is an excellent choice in 9mm weapons. Well made, straightforward , and of very good quality. I've sent a couple dozen rounds down range thus far without the slightest problem. I have tried both slow and rapid fire. Both with excellent results. Rated 5 out of 5 by Scotty362 from Warning Wrong Picture Please be aware that this is the WRONG pic as M#66752 does NOT have a manual safety.